Horses have been used as mounts and to transport supplies for thousands of years. Elephants, camels and mules have all served similar functions, as fighting animals as well as beasts of burden, while homing pigeons were used for communication in many wars. 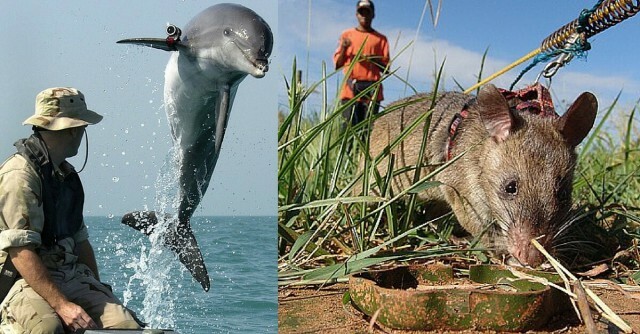 But throughout history humans have found stranger – and often crueller – ways to use animals in war. Several armies have set animals on fire and directed them at the enemy to panic and scatter war elephants. One of the most spectacular of these unpleasant schemes was undertaken the Turkic general Timur while invading India in 1398. Piling hay and wood onto the backs of camels, he set them on fire and sent them screaming into the enemy elephant formation. 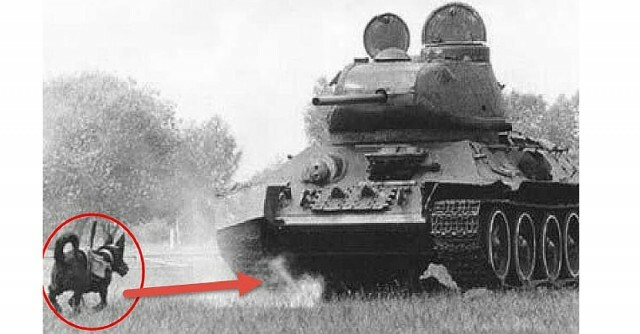 Flaming animals have also been used against other enemy troops. In a battle between rebels and the Chinese army during the Southern Song Dynasty, monkeys were clothed in straw, dipped in oil and set on fire. Released in the enemy camp, they spread the flames to tents and caused chaos among the troops. Despite the level of mechanisation that in place, many animals were used during the First World War, from carrier pigeons to cart horses. The Germans used dogs to lay telegraph wires, strapping spools of wire to their backs and sending them down the routes the telegraph lines were set to take. 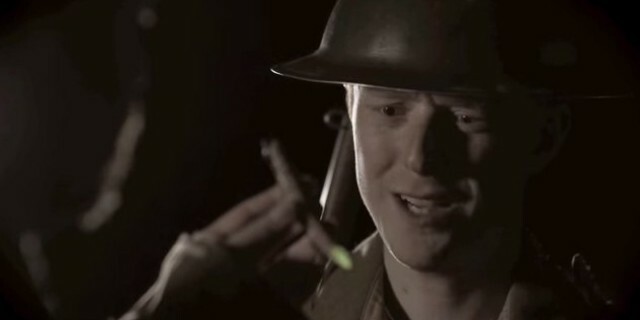 Another example from World War One was the use of glow worms to provide light. Trapped in jars, the insects were used to read maps, communications and letters from home in the darkness of the trenches. Animals have often been used to transport supplies, but a particularly bizarre variation on this took place during the Spanish Civil War (1936-1939). During the siege of a monastery, Nationalist pilots attached live turkeys to fragile supplies before dropping them into the monastery. 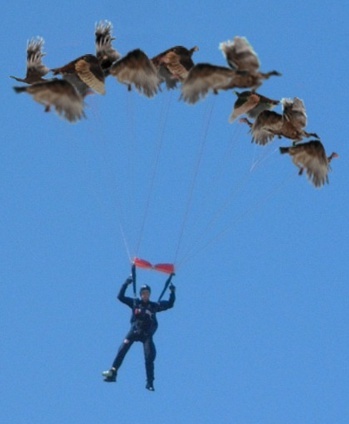 The flapping of the turkeys was intended to slow the fall of the supplies, acting as a form of a parachute. The turkeys could then be added to the defenders’ food supplies – a poor reward for their heroic service. Desperate measures and a willingness to sacrifice lives were hallmarks of the Russian way of battle during World War Two. 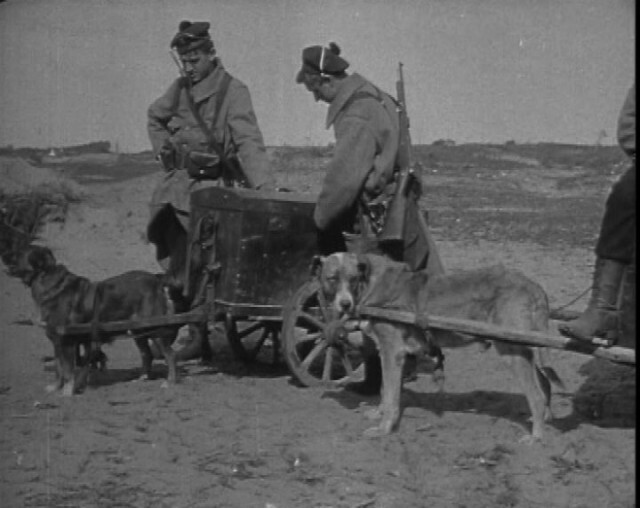 New tactics were improvised to tackle the technically superior and better equipped German forces, and one of these was anti-tank dogs. The canines were trained to run underneath tanks with bombs strapped to their backs, with the intention that the devices would then explode, taking out German armour. The plan was not a great success – scared of the tanks, the dogs ran away or fled to Soviet camps, still armed and ready to explode. The Russians weren’t the only ones turning animals into bombs during the Second World War. As the war into the Pacific turned into a gruelling, blood-soaked slog, the United States looked for ways to devastate the Japanese mainland and so force a surrender. The eventual solution was the Manhattan Project and the dropping of the first two atomic bombs, but before that came the bat bombs. 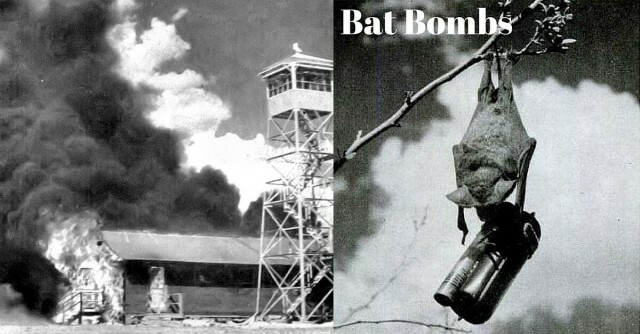 The brainchild of American dentist Lyle S. Adams, there was a twisted ingenuity to the bat bomb. Japanese houses were built of highly flammable materials such bamboo, paper and wood. This made them particularly vulnerable to fire. Adams’s scheme was to attach small incendiary devices to Mexican Free-tail bats and drop them at night on enemy cities. The bats could see in the dark, and would find places to roost in the beams of houses, so that when they ignited they would begin a city-wide inferno. A working delivery method for the bats was never successfully developed, and when it became clear that the Manhattan Project would work the bat bombs were abandoned.